Berlusconi vows to continue Jump to media player The Italian prime minister, Silvio Berlusconi, has survived two votes of confidence and says he will continue in office. How well do you know Berlusconi? Jump to media player Adam Fleming tests how well shoppers know the reputation of Italian leader Silvio Berlusconi. Girls and gaffes: Italy PM's last stand? 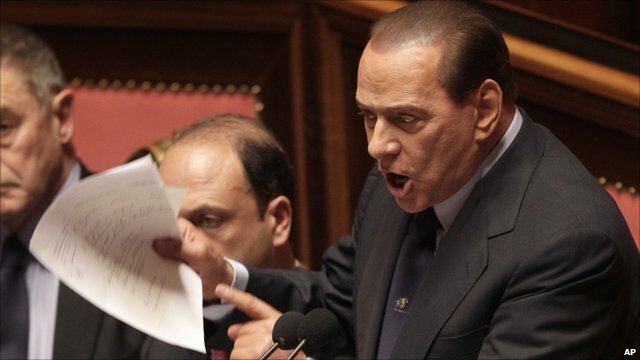 Jump to media player Italian Prime Minister Silvio Berlusconi has called on legislators not to jeopardise the government out of narrow political interests, as he faces votes of confidence. The Italian Prime Minister, Silvio Berlusconi, has survived two votes of confidence and says he will continue in office. But there was an angry reaction on the streets and the crisis over Mr Berlusconi's relationships with a string of younger women is not over. 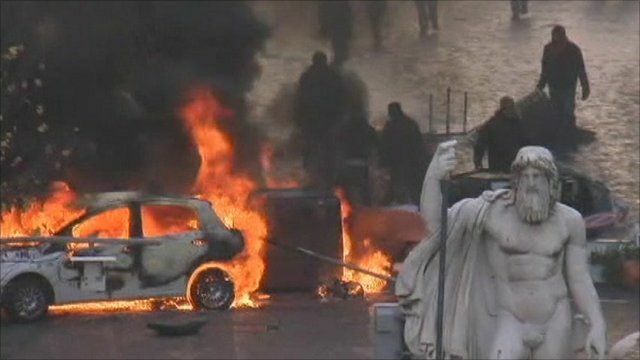 Gavin Hewitt reports from Rome. 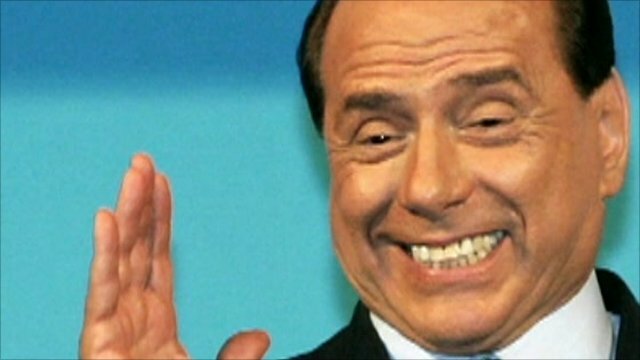 Go to next video: How well do you know Berlusconi?